Hook up this flat head tonight. It took the bait when the tide is turning up. 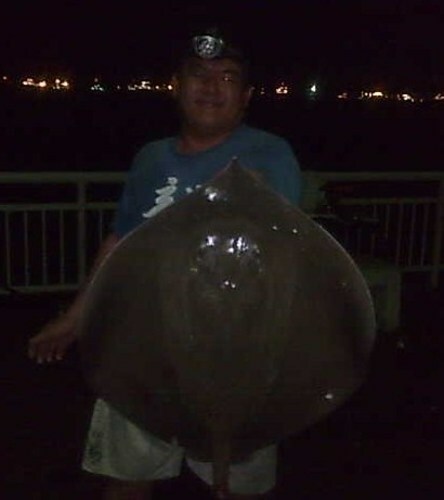 Ah An caught this 7kg Stingray early this morning when the tide is about to turn up. Caught this surface predator on a cable car rig this evening. It took my live herring and just quietly move downward along on my main line without causing any alarm. 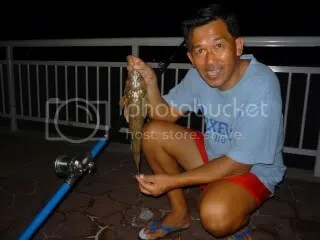 Luckily I was watching it action and I strike my rod hard and force it to surface up. It did struggle awhile before I able to lift it up by the rod.